Conformable Aluminum based non skid in BLACK or YELLOW / BLACK HAZARD. 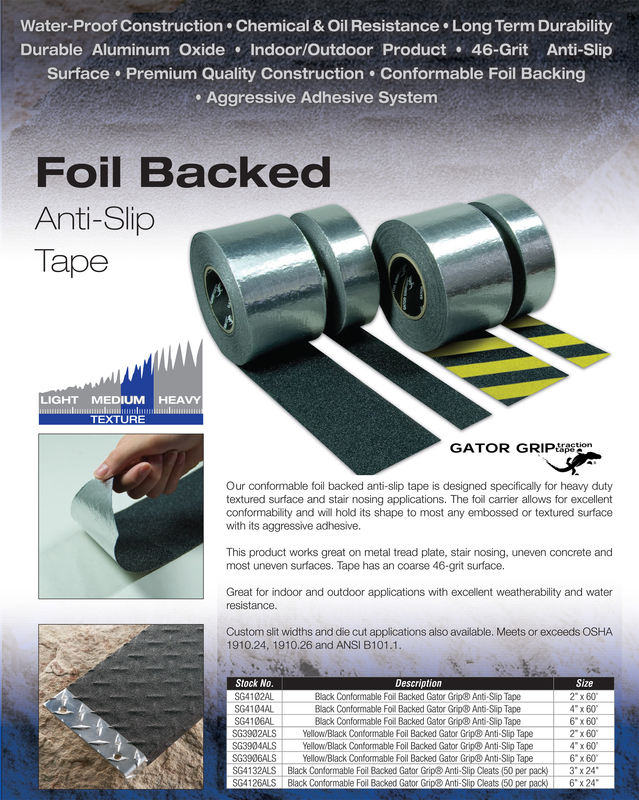 This product is manufactured from a durable 46 grit mineral abrasive formulation bonded to an ultra tough aluminum substrate and backed with a solvent based contact adhesive for instant grip. The result is a durable and "conformable" non skid tape. Since the tape is aluminum based it will take the shape of whatever it is bonded to. No other non skid tape will do this. To apply it you simply peel off the backing, apply to a clean, dry surface and press in with a rubber tire or when applying to tread plate, a soft rubber mallet. It is very important that the tape be pressed in VERY WELL to the surface so that it conforms. For tread plate many people find that hammering it in with a rubber mallet is effective.